Lady Nada & Saint Germaine had a great love together in Atlantis. 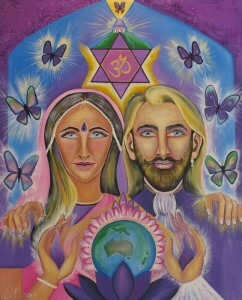 Saint Germain and Lady Nada were Priest & Priestess of the Amethyst Temple of the 7th Ray. There they taught to release Karma to do with blocks that are held in the consciousness. 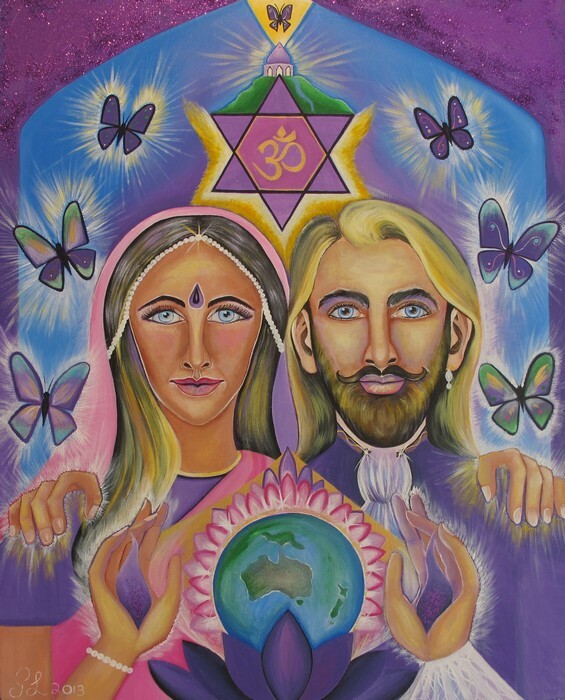 Saint Germaine was a great alchemist and worked to heal the cellular memory while Lady Nada was a great teacher of the heart, who worked to develop the 3rd eye. In Atlantis they held so much Love and awareness for themselves through every ceremony, helping the spiritual development of humanity with the ascension light. They still work together for us in this day and age with Lady Nada being the Cohan of the 7th Ray, while her beloved Saint Germaine is always working with her with his alchemy and knowledge to release the past through the cellular memory into the 3rd eye to the mighty I am presence. They have also bought forward the Gold & Silver Violet Flame to cleanse and purify the heavy burdens from the past lives, and the dross that has built up in the aura in this life. They are willing to work with you now to do this. They will balance the female and male bodies in your physical body. Lady Nada will come forth on your left hand side and Saint Germaine on your right hand side and bring forth the Gold & Silver Violet Flame down from Mother and Father God. They will heal problems that you have to do with your relationship with yourself or another. They will harmonize and help you to remove the seven veils of disillusion and bring the awareness into clarity and release.